So my husband is a sweet man. He’s thoughtful and spends time looking for gifts that he thinks I’ll like. It’s common knowledge among people who know me that I love owls. I have many things featuring owls. I’m at this very moment wearing a shirt with an owl on it. So it’s no surprise that he would look for owl items for me. My birthday was last week, and for one of my gifts he ordered what he thought would be a sweater with an owl or two on it. That’s what it was supposed to be. The order confirmation and shipping confirmation both feature “owl sweater”. So imagine his surprise when I opened the package that arrived today and removed this. Him: There were supposed to be owls on it. Two or three just on the bottom. 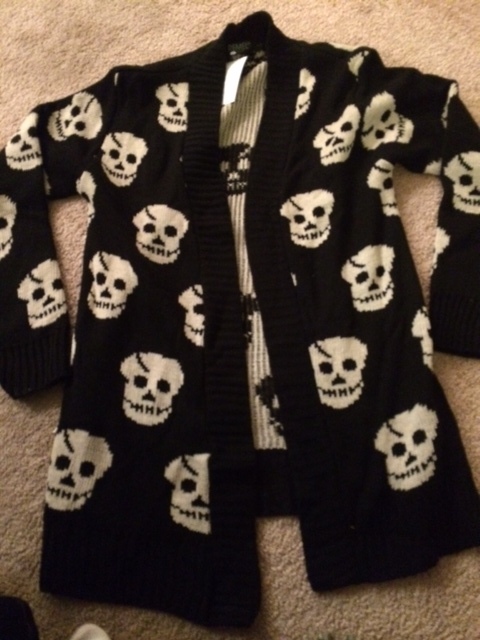 I didn’t order a skull sweater for you. Him: (getting a little upset) This isn’t what I ordered. Me: (containing laughter) Okay. We’ll send it back. I put it back into the package and set it aside. Then, I thought: I bet others will find this situation as amusing as I do. And then Husband will as well. So I took the pic and put it on Facebook. Do you see how many likes there are? There are also 31 comments so far. General consensus: I didn’t get what I wanted, but maybe I got what I needed. We all know things don’t always go the way we planned. Sometimes, things go wrong in such an absurd way that you either get really mad or get a good laugh out of it. 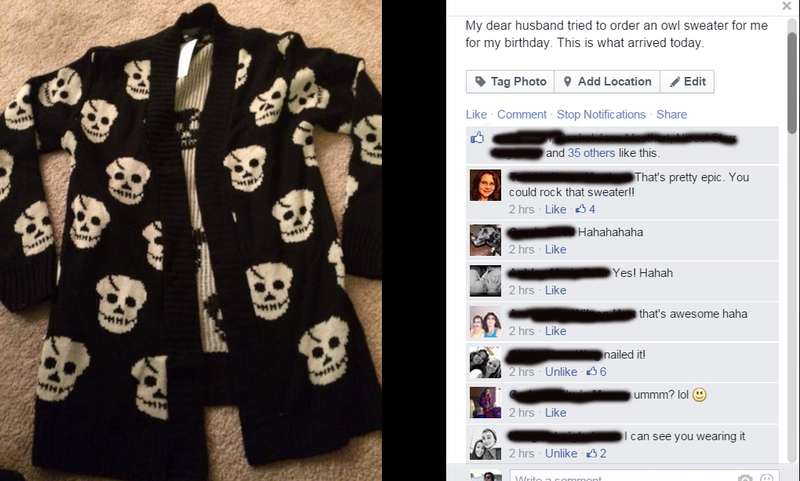 Husband has read the comments and even laughed a little. I think I’ll tape little Santa hats on them for next Christmas. 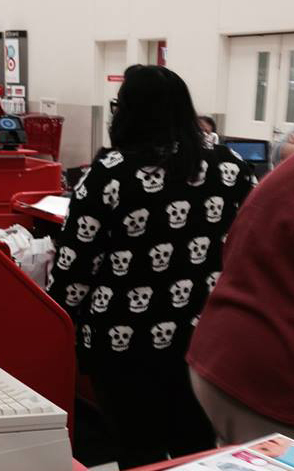 Update: The day after I posted this, Husband sent me this pic from Target. In his defense, he really did order the owl one. The company messed it up. But it all worked out. I’m planning to decorate the skulls around the holidays for the kids at the school where I work. That’s awesome. 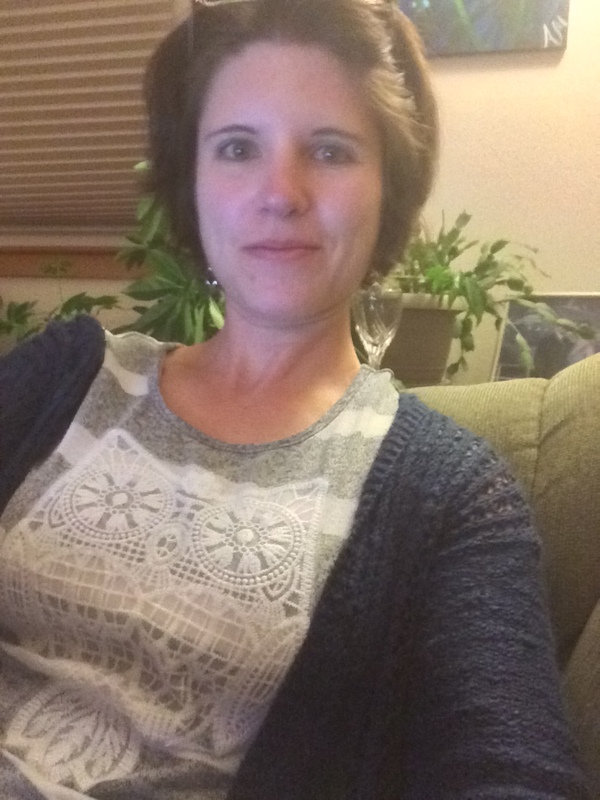 Love the sweater! I am also a fan of owls, have one tattooed on my leg, lol.